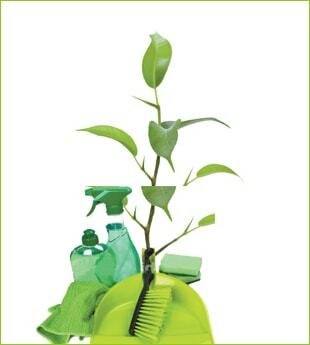 Radiance Space Solutions is committed to making your world cleaner, healthier, happier. Whether it is your office, home or commercial space, we offer customised solutions that combine technology and industry insight, to revive and restore the look and shine of your premises. When it comes to your workplace, not only does it become more hygienic, but you will also experience the fresh energy of pride and productivity among your people. We believe that the difference between good and great is attention to detail. This is the guiding philosophy behind the brand and is embedded in our DNA. Each housekeeping attendant is trained with this philosophy, all cleaning activities are performed with utmost precision and skill using internationally accepted machines, tools and cleaning agents. This is what sets us apart from others in the market. We deploy a well-trained team of housekeeping attendants and well-qualified supervisors at our sites. All housekeeping attendants and supervisors are smartly dressed in uniform, insured and police-verified, and undergo regular health checkups. Team members go through 100 hours+ of rigorous training that includes classes on Standard Operating Protocols as well as practical learning on a range of subjects – Machines & chemicals, Safety & prevention of housekeeping hazards, Prevention of workplace fires & accidents, Use of protective equipment while working on the client site, Good etiquette & workplace behavior, among others. After basic training, we analyse the strength and weakness of each housekeeping team member and assign them to smaller teams for specialised training in an area where they have shown aptitude. This goes a long way in creating a culture of excellence based on functional expertise. Radiance has a unique furniture enhancement and upholstery cleaning service that focuses on reviving the life of expensive furniture such as desks, chairs, sofa sets, cabinets, among others. Due to repetitive use, furniture suffers wear and tear and loses its original sheen, and companies replace such items with new ones, adding to their capital expenditure. We help our clients address this issue by breathing in new life and look into in-use furniture and fittings. The process involves deep cleaning and sanitising of these items to remove dirt and germs. Using polish, wax and special cleansers, our housekeeping attendants carefully scrub the surface of the product and perform buffing using German-made machines. With this treatment, the product regains its original glory. We use a wide range of Diversey cleaning agents, for performing deep cleaning and related services at your premises. 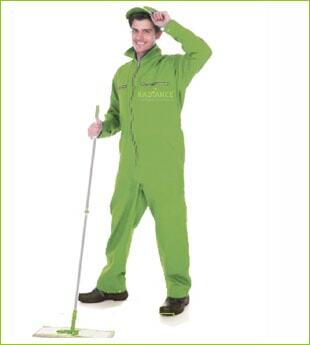 Diversey is a leading global brand of sustainable cleaning, sanitation and hygiene solutions. We use their 'R Series' for room, washroom and workplace care, and the 'Suma Series' for kitchen, food areas and pantry care. These cleaning agents are in use across 175 countries globally, and conform to prevalent safety and environmental norms. To deliver the highest standards of health and hygiene, we employ top-of-the-line automated machines from IPC (Italy), Bosch (Germany) and 3M (US), the world's leading cleaning machines and tools manufacturers. 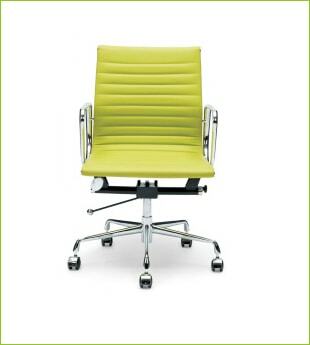 When used by our experts, these tools enable us to revive the look of your office. These machines are quick, efficient and reliable in use, and deliver the highest quality standards. Our extensive range of machines include Single disc scrubbing & polishing machines, Industrial-grade wet & dry vacuum cleaners, Upholstery cleaning injection & extraction vacuum cleaners, Cold water high pressure washer machines, Carpet cleaning machines, Scrubbing & drying machines, Foam generator machines, Steam generator machines, Hand-buffing and scrubbing machines, Backpack vacuum cleaners, among others. Once you select an annual service and maintenance package, you are assigned a Relationship Manager, who becomes the single point of contact for all your queries and requirements, ensuring smoother communication and greater accountability. He will visit your office on a monthly basis, or be on call as per your requirement,to continually assess the condition of the premises and suggest appropriate corrective measures to your facility team. 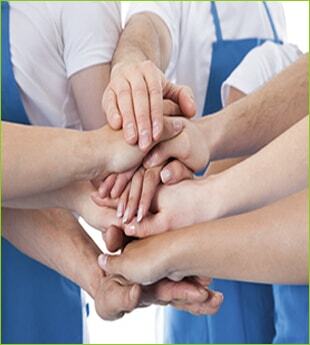 After every service visit, we organise a training session for your in-house housekeeping team. Our site supervisors brief your team members about the correct way of cleaning the fixtures and furniture, and surfaces like glass, upholstery, carpet, floors etc., so that these are properly maintained on a daily basis, even after we have left. This ensures that your office premises remain in a healthy and pristine condition for a longer duration. We have extensively employed information technology to create an efficient and transparent system to monitor progress of work for our clients. When your facility is first audited by our Service Advisor, the complete survey report is uploaded on our website, accessible only to you through a secure intranet portal. Subject to your approval, images showing the before-after difference in select office areas are also uploaded for future reference. Your web account will contain details of chairs, tables, desks, wall area, carpet area and other parameters pertaining to office premises which come under our scope of work. 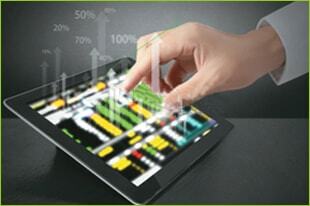 All work conducted on your premises will be updated on the system after each service. You can monitor the exact progress vis-àvis your selected package from your web account, and also schedule future cleaning appointments, as per your convenience and requirements.